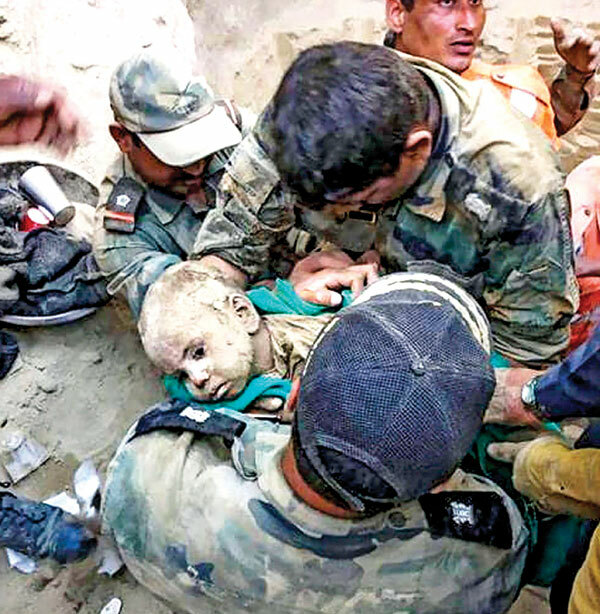 PTI, HISAR: After a 48-hour-long struggle, an 18-month-old child who fell into a borewell here was rescued safely on Friday. Nadim fell into the 60-foot deep borewell while playing near his house in Balsamand village in Hisar district of Haryana. As soon as Army and NDRF personnel pulled out Nadim from the borewell, the elated villagers started raising slogans like 'Bharat Mata ki Jai'.